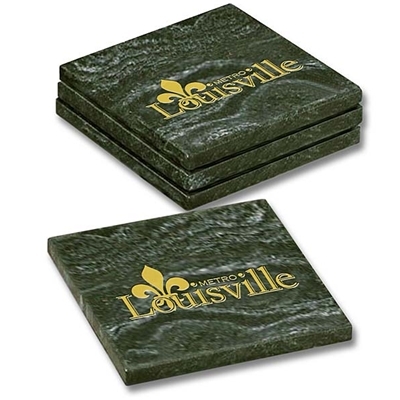 Boxed set of four, Black Elite, marble coasters with Metro Louisville Logo Etched in the stone and filled with gold color. Included Gloss Black Gift Box. 4" x 4" x .25".